My obsession for Lush products is forever growing! I popped into Lush a couple months back, looking for a thick, intensive mask for my problematic skin. I started breaking out again and got into the old habit of picking my spots (naughty, I know). The picking had then led to marks and then scarring- it was like a vicious circle. 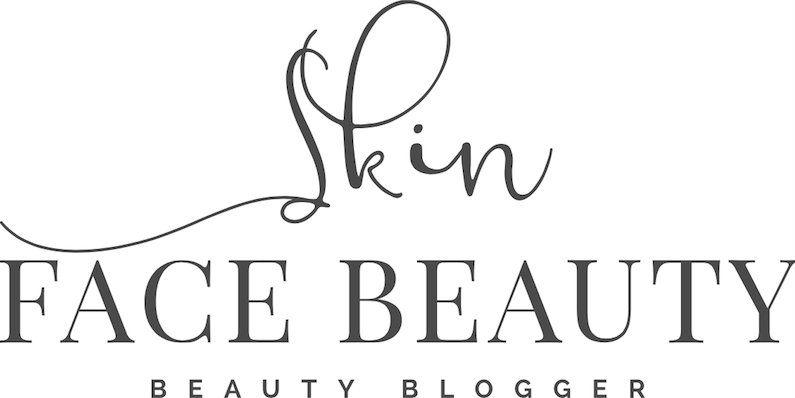 "A calming and moisturising fresh face mask packed with blueberries, calamine and chamomile, rose and almond oils to soothe and soften the skin. We use wholesome blueberries as they are rich in vitamins and minerals, including the antioxidant vitamins A, C and E that help to protect the skin from damage." I was approached by one of their lovely workers and told her what I was looking for; a mask that will clear up my skin, balance the oils and leave it feeling refreshed as well as moisturised. 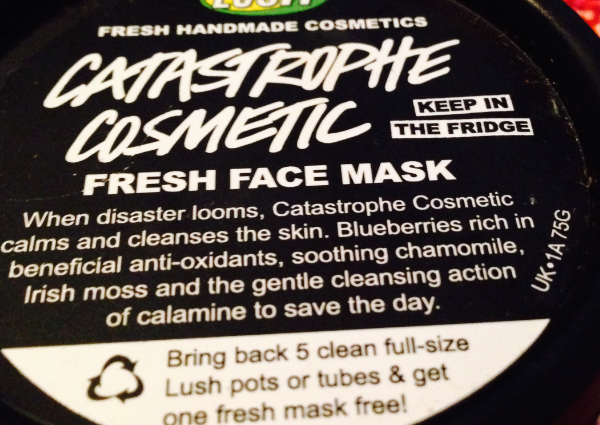 She recommended a few of the masks and allowed me to try them on the back of my hands but the blueberry-packed Catastrophe Cosmetic had won me over. 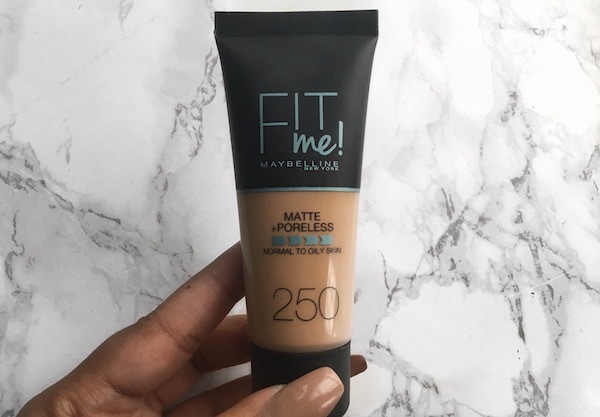 I apply a generous amount of the mask all over my face using a No7 flat foundation brush, leaving the under eye area and around the mouth bare. 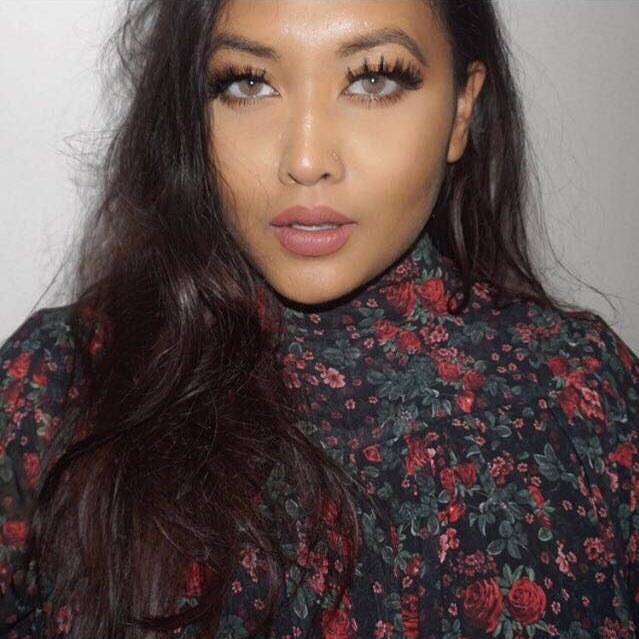 I have always used a brush to apply my masks, it easier to apply an even layer on the face and much less messy! 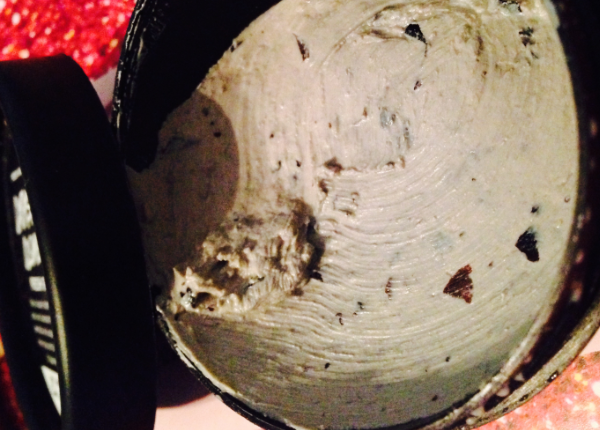 The mask is clay based and as it's made from fresh ingredients it must be kept in the fridge. It does dry pretty quick and I noticed that within 6 minutes when I wiggle my nose and cheeks, the mask does crumble off. 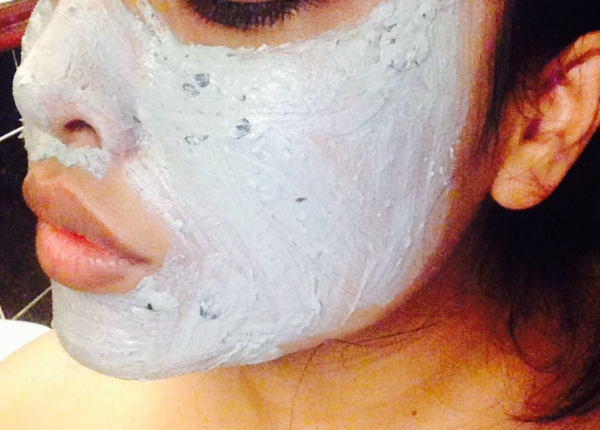 After washing the mask off with warm water, I splash cold water onto my face to close the pores- REMEMBER TO ALWAYS DO THIS! I finished off by using my favourite toner (review here) and moisturiser. I have no downside to this fabulous mask- it really is amazing. I use it once or twice a week before going to bed and I wake up with a clear and smooth looking face. I couldn't recommend it more, especially to those with problematic skin like mine. 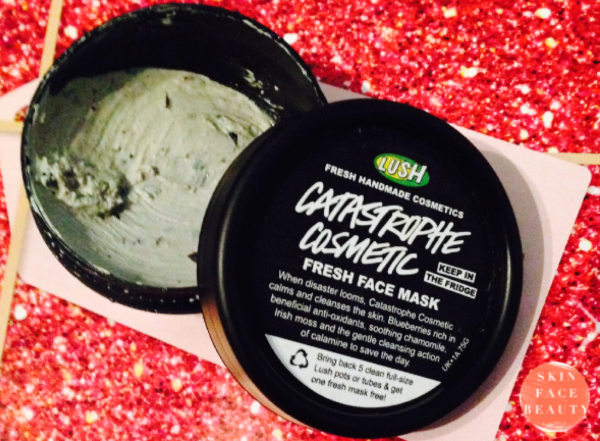 Lush masks usually expire after 3 months but you do get enough product in a tub to last you till the expiration date so nothing goes to waste. 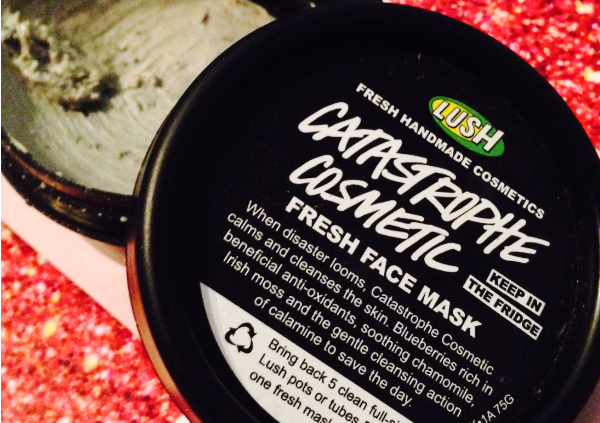 Have you tried Lush Catastrophe Cosmetic?